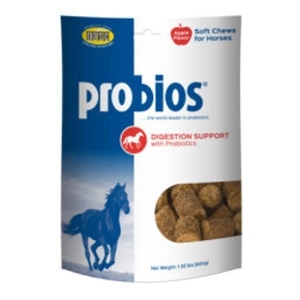 Probios® Horse Soft Chews help maintain healthy digestive function in horses. Digestion Support formula can be fed daily to provide a source of live (viable) naturally occurring microorganisms. Ideal during times of stress, such as travel, after antibiotic therapy, following deworming, during weather changes, and foaling. 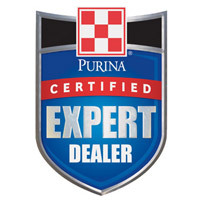 Suggested to help horses during digestive upsets and diarrhea. Apple flavor. 1.32 lbs.